Sir Isaac Newton is unarguably the most favored historical figure in the field of physics. Inspired by research I'd been conducting to learn more about Newton, I set out to design a minimalist graphic that conveyed the essence of man himself. Aha! The Newton's Cradle! It came to me in an instant. Five circles. Five lines. Instantly recognizable. Except, as I began to research the origin of the Netwon's Cradle, I discovered that this eccentric, ego-maniacal, mad-scientist crush of mine wasn't the first to use the collisions of pendulum balls to investigate momentum, mass, and the conservation of energy. What?! To my surprise, the first scientist on record to have conducted experiments using the collision of pendulum balls was a person I'd not yet discovered in my scientific quests, 17th century French priest and physicist, Edme Mariotte. 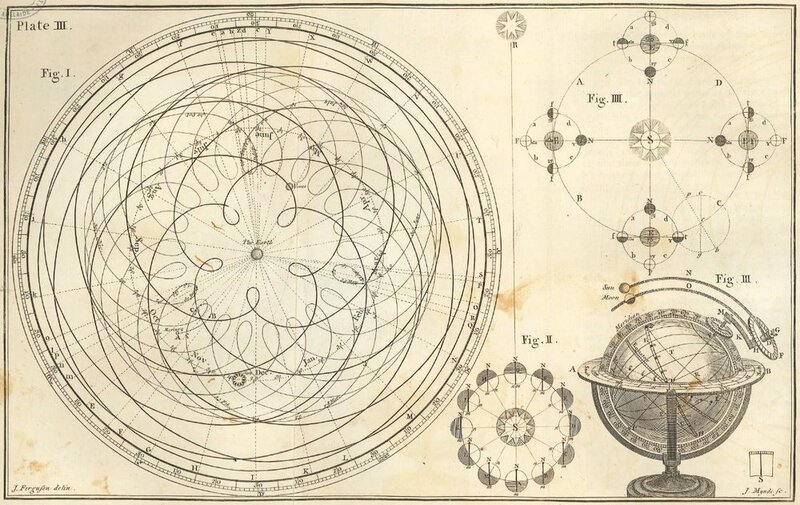 Prior to publishing his more widely known scientific paper, Discours de la nature de l’air (1676; “Discourse on the Nature of Air”), Mariotte published Traité de la percussion ou choc des corps (1673; "Treatise on the Percussion or Impact of Bodies"). In his treatise, he provided the first scientific observations of the laws of inelastic and elastic impact as applied to a variety of physical problems. Eventually, Newton would acknowledge Mariotte's work in his renowned publication, Philosophiæ Naturalis Principia Mathematica (1687; Natural Philosophy), popularly known as the Principia. Learning about the Newton's Cradle uniquely sparked my curiosity about how history is recorded and taught. Even today, conducting online research about this topic results in finding conflicting information. Some sources attribute the origin of the Newton's Cradle to John Wallis, Christopher Wren and Christiaan Huygens, while others credit Mariotte. Yet others maintain that Newton was worthy of the attribution because of his contributions to our understanding of the laws of motion. Setting out to design a minimalist graphic as a tribute to Newton took an unexpected turn. What I've learned about conducting the research that informs my art is to let curiosity be my guide, to set aside assumptions, and to embrace surprises. If it were within my power to rename the cradle today, I'd most certainly call it Mariotte's Cradle. Instead, I'm sharing about how I was inspired to pay homage to one scientist on my quest to honor another.